Building on a background as a public servant, university president, and teacher, U.S. 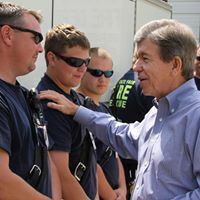 Senator Roy Blunt was first elected to the United States Senate in 2010 and re-elected in 2016. The people of Southwest Missouri overwhelmingly elected Blunt seven times to the U.S. House of Representatives. Blunt serves as the Vice Chairman of the Senate Republican Conference. He also serves on the Senate Appropriations Committee; the Senate Commerce, Science and Transportation Committee; the Senate Select Committee on Intelligence; and the Senate Rules Committee. He is the Chairman of the Appropriations Subcommittee on Labor, Health and Human Services, Education, and Related Agencies and Chairman of the Commerce Subcommittee on Aviation Operations, Safety, and Security.